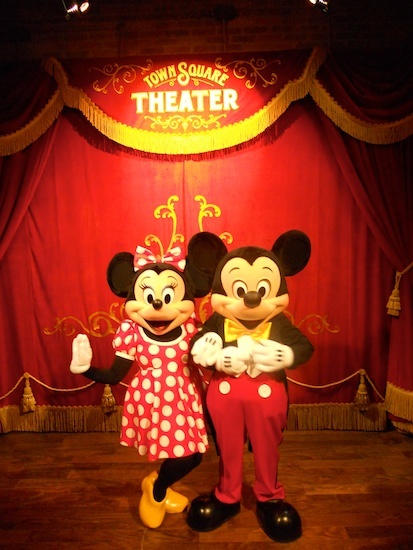 The Town Square Theater opened today as the new place to meet Mickey Mouse at the Magic Kingdom. 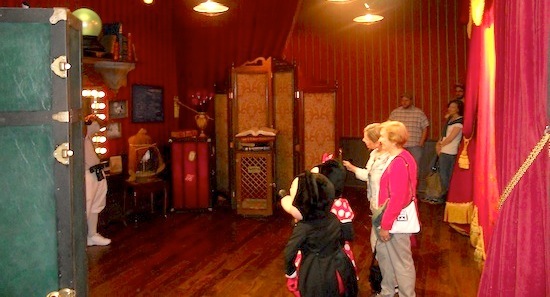 We not only got inside to meet the “big cheese”, but Mickey and Minnie gave us a personal tour of their new backstage area. Here’s a video of the personal tour followed by a photo tour through the whole building. 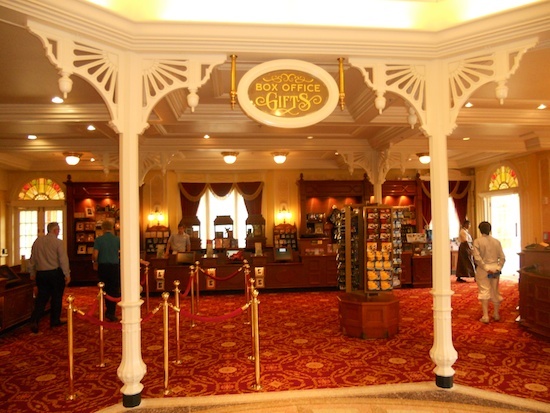 The former Exposition Hall has been “re-imagined” as Town Square Theater, housing Mickey’s Meet and Greet, the Disney Princesses (until the Fantasyland expansion is done), Tony’s Town Square Restaurant, two gift shops and the PhotoPass desk. 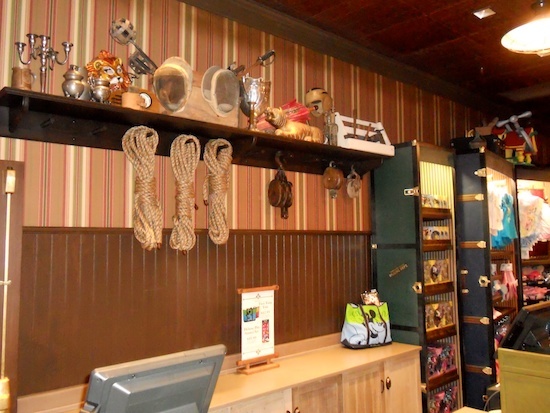 As you can see, the area looks really nice with lots of upscale details. 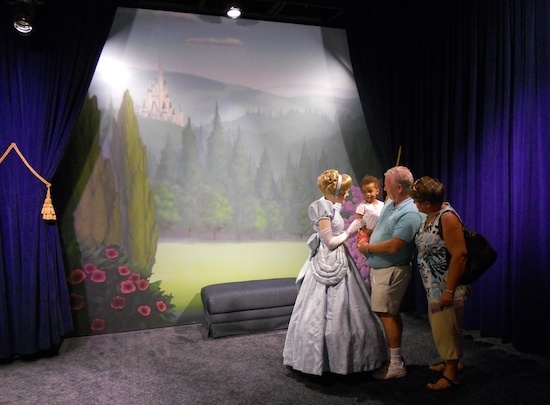 To your right as you walk in is the PhotoPass desk where you can view and purchase your photos and some camera items and souvenirs. On your left is Tony’s Town Square Restaurant. Hey, is that Tony himself? 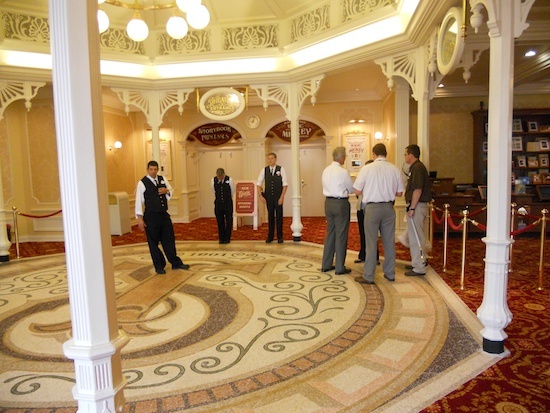 But you’ll go straight ahead if you want to meet Mickey Mouse. 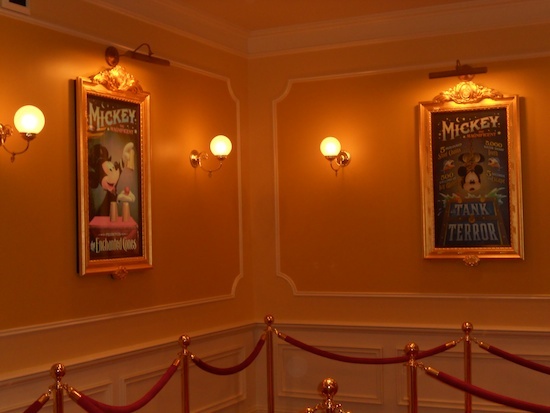 There’s lots of room for guests to queue up, but you don’t have to get in a long line if you get a FastPass for Mickey or the princesses. 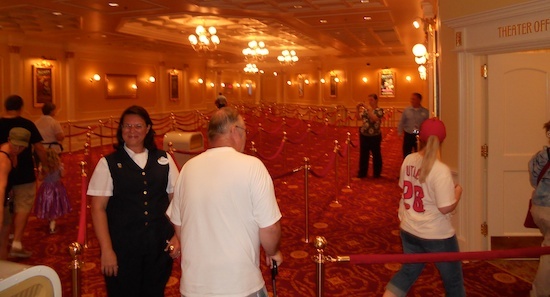 This is the first, and right now, only place to get a FastPass to meet a Disney character. 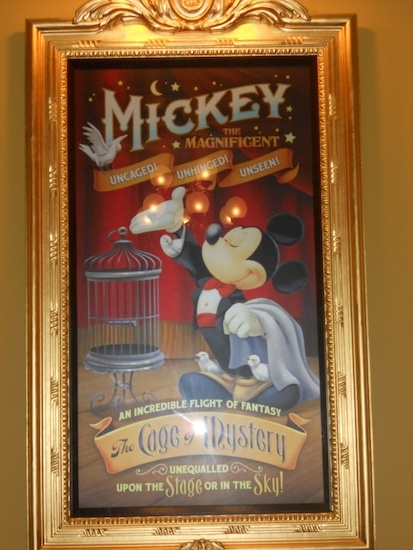 On the walls along the queue area are many posters for Mickey’s magic show. 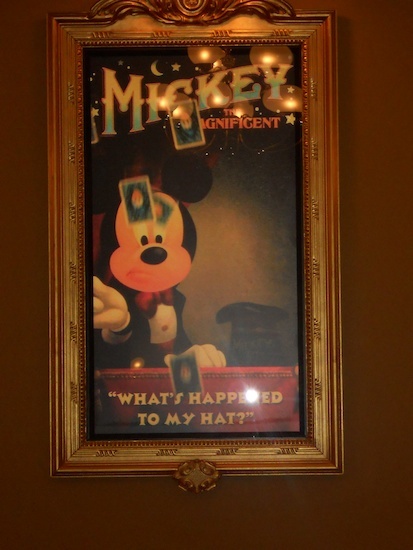 Although you won’t actually get to see Mickey’s magic show, keep your eyes on the posters as they magically change. They’re actually animated displays. 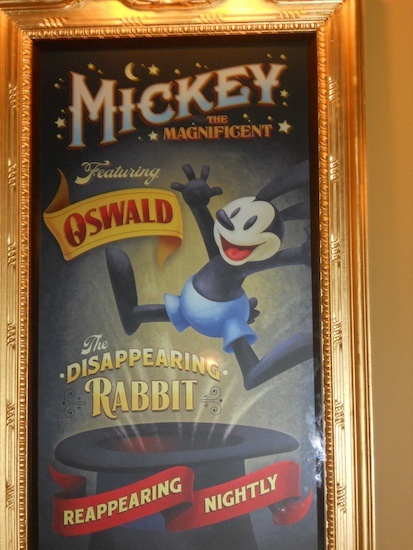 One of Walt Disney’s pre-Mickey creations, Oswald The Lucky Rabbit, even makes an appearance. Although here he’s Oswald the Disappearing Rabbit. 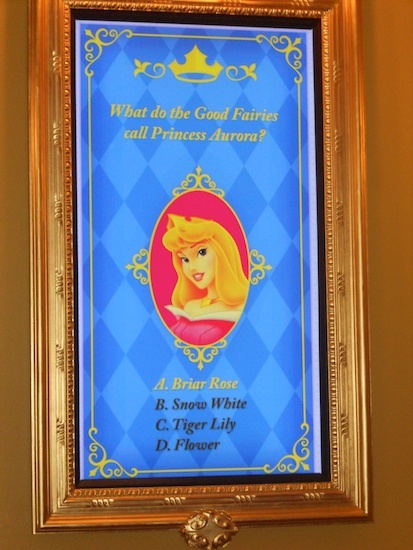 The princesses also get animated posters showing trivia questions. 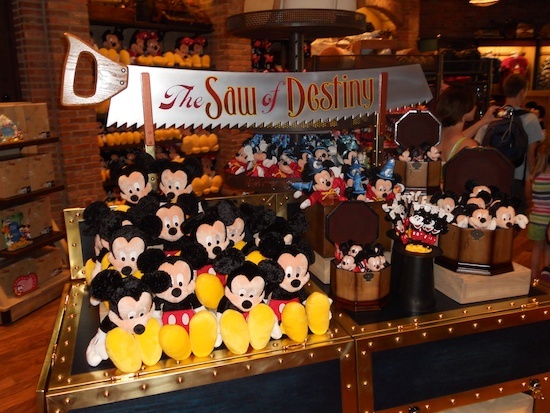 Around the other side of Mickey’s large trunk is where you’ll meet not only Mickey, but Minnie as well. As you can see, the mice are in their regular clothes. 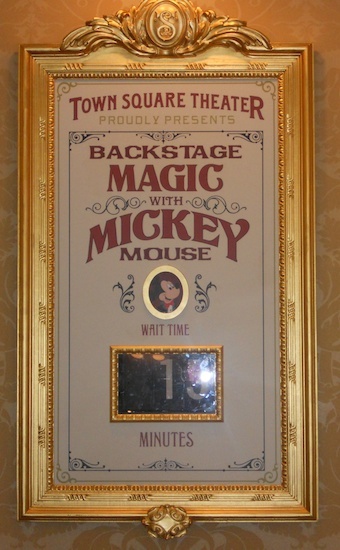 Since you’re backstage at the theater, Mickey hasn’t yet changed into his magician outfit. But you can see his outfit in his trunk along with many other items he keeps in his dressing room. 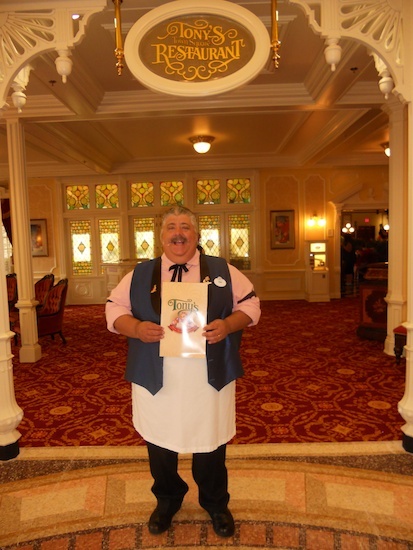 Notice his sorcerer’s hat and the crystal ball labled Leota Crystals. (Madame Leota is the floating head in a crystal ball at the haunted Mansion.) There are a lot of other tribute items in the room as well. Of course the exit leads into a gift shop. 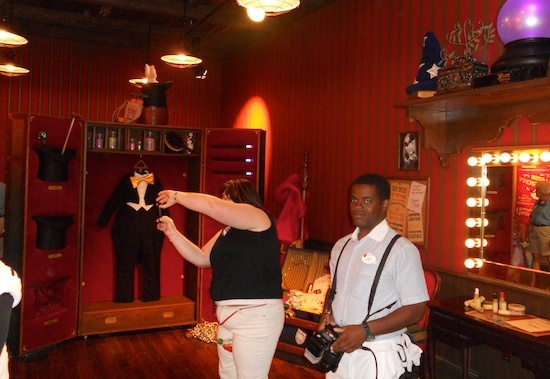 As you can see, the gift shop is well designed to the magician theme. 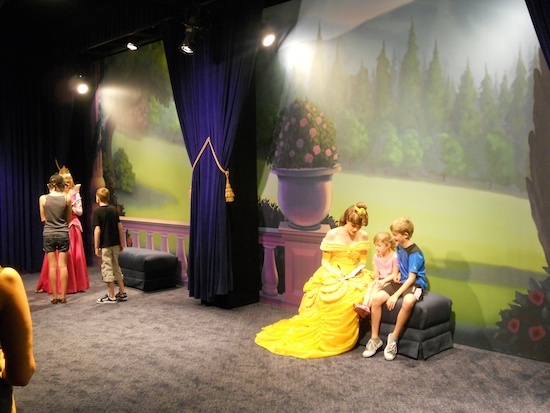 Here’s a look at the princesses’ temporary meet area. 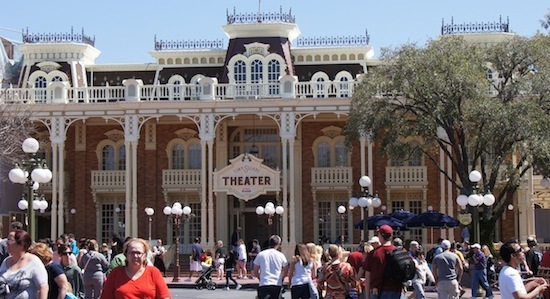 The Town Square Theater is now in soft openings with an official opening soon.